Calculator of distances and itineraries in Canada. Preparation of the trip to the main places and cities. Calculation of distances and routes in Canada. The purpose of the site is to offer a service for calculating distances and routes in Canada. The ergonomics of the route calculation tool offer various approaches for determining the best route from the point of departure to the destination. List of the most important Canada cities with distances and routes from Ottawa (Ontario, , Canada). How to get from Ottawa to main cities ? Distances and durations travel from Ottawa to most populated Canada cities. This section lists the distances from Ottawa (Ontario, , Canada) to the nearest regional cities. By clicking on the appropriate links, you will get a route between Ottawa and neighboring major cities (national and transboundary). Travel calmly ! Boasting views of the Laurentian Mountains, this Gatineau property provides a full, hot breakfast. Free Wi-Fi is included. A refrigerator is featured in each room. Ottawa is 5 minutes’ drive away. This hotel is located 7.36 from the city center Ottawa. This 4.0 star property has 4 rooms. You can book a room from 109 CAD. Offering an 18-hole golf course, a full-service spa and on-site dining, DoubleTree by Hilton Gatineau-Ottawa is located in Gatineau, just 10 minutes’ drive from central Ottawa. This hotel is located 6.20 from the city center Ottawa. This 4.0 star property has 125 rooms. You can book a room from 104 CAD. 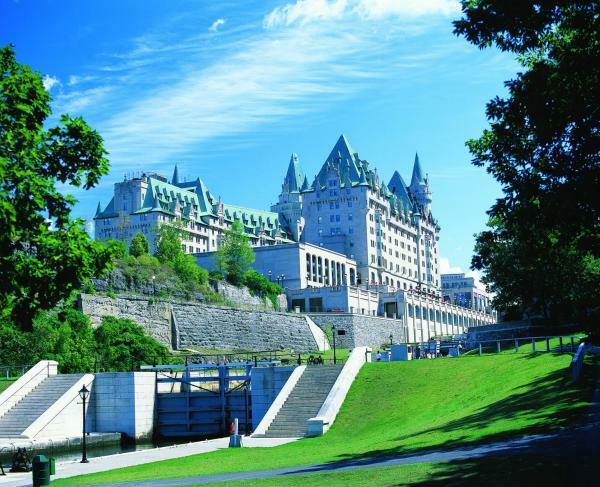 Across the street from Casino du Lac Leamy and minutes from downtown Ottawa, this hotel in Gatineau offers a relaxing spa and an on-site restaurant. This hotel is located 5.10 from the city center Ottawa. This 4.0 star property has 174 rooms. You can book a room from 117 CAD. Connected to the Lac-Leamy Casino in Gatineau-Ottawa, Hilton Lac-Leamy features a fitness centre, outdoor heated pool, indoor pool, spa and wellness centre and a variety of dining options. Free WiFi is available. This hotel is located 4.49 from the city center Ottawa. This 5.0 star property has 349 rooms. You can book a room from 239.03 CAD. The Canadian Museum of History is 5 minutes' walk from this completely non-smoking, eco-friendly hotel in Gatineau. Free WiFi and flat-screen TVs are available in every room. The hotel offers an indoor swimming pool and fitness center. This hotel is located 2.21 from the city center Ottawa. This 4.0 star property has 201 rooms. You can book a room from 125.1 CAD. 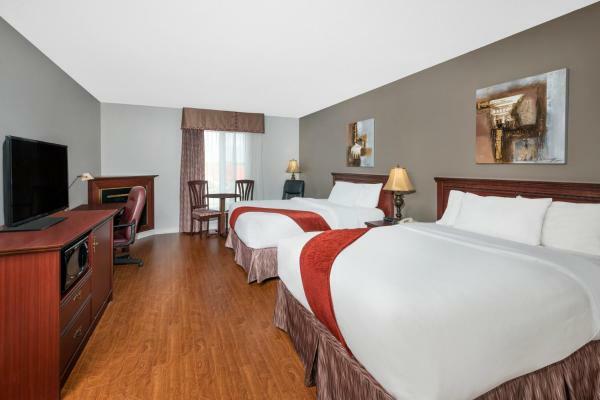 Situated just 2 minutes' drive from downtown Ottawa in Gatineau's business district, Best Western Plus Gatineau-Ottawa features free WiFi and an indoor pool. All guest rooms feature a 42-inch flat-screen HDTV. This hotel is located 2.59 from the city center Ottawa. This 4.0 star property has 133 rooms. You can book a room from 113.52 CAD. Located in Ottawa, LIV Extended Stay features accommodation with a seating area and a kitchen. Complimentary WiFi is available. The aparthotel offers a flat-screen TV and a private bathroom with free toiletries, a hair dryer and bath or shower. This hotel is located 0.81 from the city center Ottawa. This 4.0 star property has 60 rooms. You can book a room from 140 CAD. 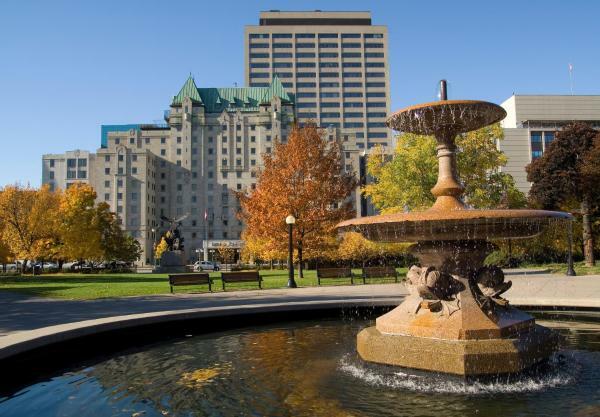 This hotel is centrally located in downtown Ottawa, just a 10-minute walk to Parliament Hill. The 4-star hotel features a restaurant and bar and spacious rooms. This hotel is located 0.96 from the city center Ottawa. This 4.0 star property has 410 rooms. You can book a room from 134 CAD. Located in downtown Ottawa, this hotel offers an indoor pool and an on-site restaurant. Rooms feature cable TV and guests are offered plush bathrobes. The Byward Market and the Canadian War Museum are both less than 2 km away. This hotel is located 1.05 from the city center Ottawa. This 4.0 star property has 489 rooms. You can book a room from 125 CAD. 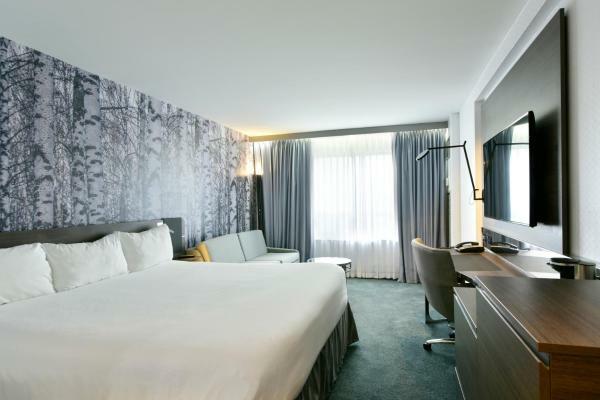 Near attractions such as Parliament Hill and ByWard Market, this hotel in downtown Ottawa, Ontario offers enjoyable facilities, comfortable guestrooms and on-site dining options. Sheraton Ottawa Hotel features an indoor pool and fitness center. This hotel is located 1.10 from the city center Ottawa. This 4.0 star property has 236 rooms. You can book a room from 104 CAD. 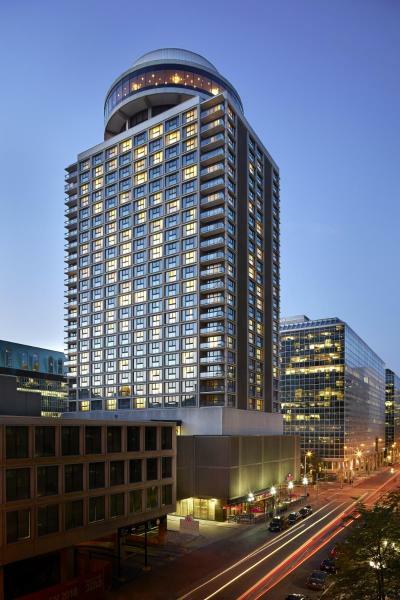 This 4-star hotel is located in downtown Ottawa and features a state-of-the-art gym. The hotel is 15 minutes' walk from Parliament Hill. The cosy rooms offer an iPod docking station, bathrobes and deluxe amenities. This hotel is located 1.04 from the city center Ottawa. This 4.0 star property has 112 rooms. You can book a room from 122 CAD. Located in downtown Ottawa, within 5 minutes' walk of Parliament Hill, The Metcalfe Hotel features an indoor pool with hot tub. Each guest room includes a flat-screen TV with cable channels and pay-per-view movies. Free WiFi is provided. This hotel is located 1.05 from the city center Ottawa. This 4.0 star property has 100 rooms. You can book a room from 119.2 CAD. Featuring an indoor pool, this historic hotel is located in central Ottawa, adjacent to the Parliament Buildings and Rideau Canal. It features elegant dining options and spacious rooms with a flat-screen cable TV. This hotel is located 1.58 from the city center Ottawa. This 5.0 star property has 429 rooms. You can book a room from 199 CAD. Boasting an on-site boutique shop, this historic Ottawa bed and breakfast is 6 kilometres from Museum of Civilization in Ontario. Featuring original architectures, all elegant rooms include free Wi-Fi. This hotel is located 1.02 from the city center Ottawa. This 4.0 star property has 5 rooms. You can book a room from 145.2 CAD. 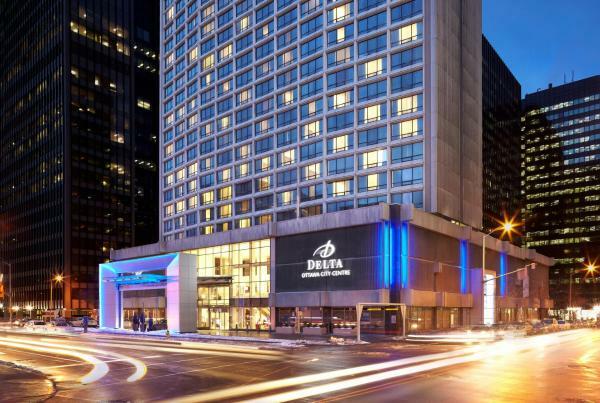 Directly across from the National Arts Centre, this non-smoking, landmark hotel is only steps from major attractions, and offers spacious accommodations with 49-inch TVs and first-class amenities in the city centre of Canada's capital. This hotel is located 1.19 from the city center Ottawa. This 4.0 star property has 355 rooms. You can book a room from 127.92 CAD. 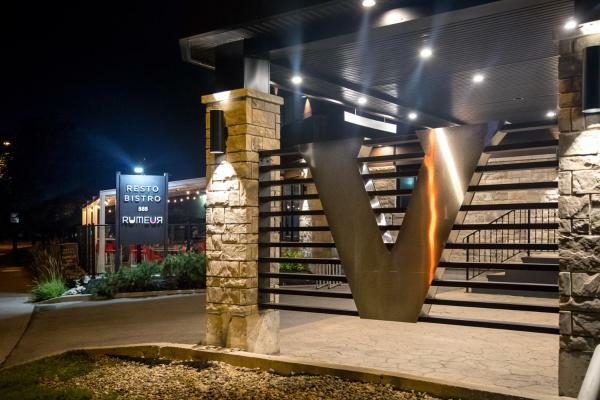 Located in Gatineau, Hotel V is within 5 minutes’ drive of various golf courses, including Club de Golf Tecumseh. It features rooms with free WiFi and wired internet. This hotel is located 7.72 from the city center Ottawa. This 4.0 star property has 88 rooms. You can book a room from 126 CAD. Featuring an indoor pool, the Westin Ottawa is located next to the Rideau Centre Shopping Mall and the Shaw Centre. The non-smoking hotel offers a restaurant, bar, and free public WiFi. This hotel is located 1.58 from the city center Ottawa. This 4.0 star property has 497 rooms. You can book a room from 159 CAD. 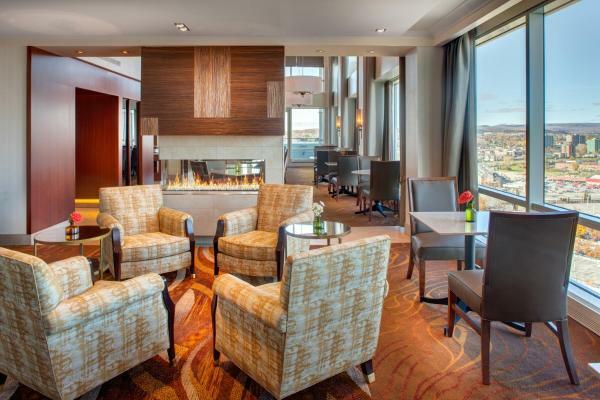 This Gatineau hotel is 10 minutes' drive from Ottawa city centre and offers free parking. The hotel includes a fitness centre, on-site restaurant and guest rooms with free WiFi. This hotel is located 7.32 from the city center Ottawa. This 4.0 star property has 116 rooms. You can book a room from 112.1 CAD. 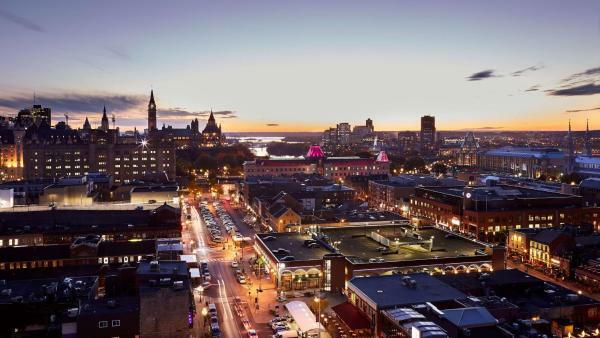 Situated in the Ottawa's trendy Byward Market district, Andaz Ottawa Byward Market-a concept by Hyatt features free WiFi and an on-site fitness centre. Parliament Hill is 1.1 km from this hotel. This hotel is located 2.04 from the city center Ottawa. This 4.0 star property has 200 rooms. You can book a room from 151.05 CAD. Situated in downtown Ottawa, just 5 minutes' walk from the fashionable Byward Market district, Novotel Ottawa offers an indoor pool and free WiFi. This hotel is located 1.77 from the city center Ottawa. This 4.0 star property has 281 rooms. You can book a room from 99 CAD. 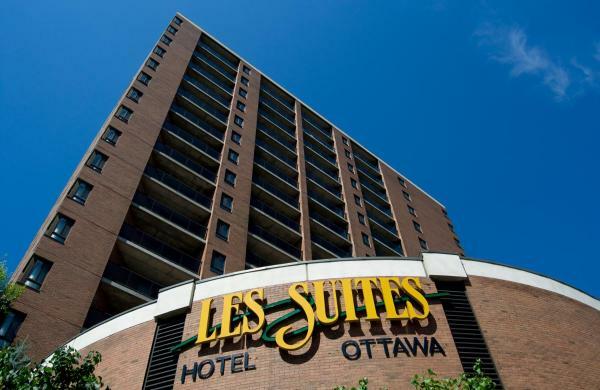 Next to shopping at the Rideau Centre and surrounded by dining and entertainment, this all-suite hotel in the centre of Ottawa, Ontario offers fully furnished accommodation and enjoyable facilities. This hotel is located 1.83 from the city center Ottawa. This 4.0 star property has 240 rooms. You can book a room from 135 CAD. Located in Ottawa, 400 metres from Ottawa Convention Centre, Le Germain Hotel Ottawa has a fitness centre, a bar and on-site dining. 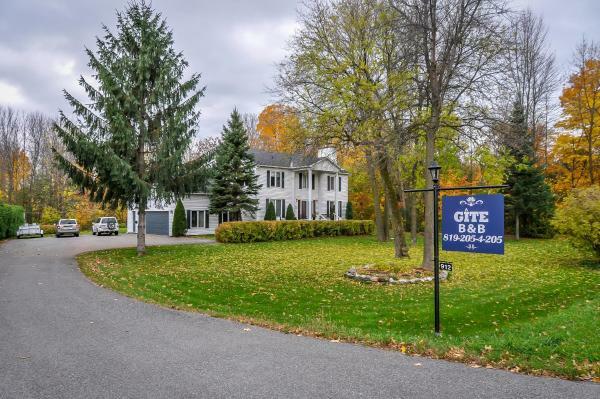 The property is close to several noted attractions, around 600 metres from Rideau Locks and around 600 metres from U. This hotel is located 1.85 from the city center Ottawa. This 4.0 star property has 115 rooms. You can book a room from 179.1 CAD. This downtown Ottawa apartment building is adjacent to the University of Ottawa and a 5-minute walk from the Ottawa Convention Center. It offers an indoor pool and free Wi-Fi. This hotel is located 1.62 from the city center Ottawa. This 4.0 star property has 2 rooms. You can book a room from 169 CAD. The Century House Bed and Breakfast Ottawa features a complimentary daily breakfast and free WiFi throughout. 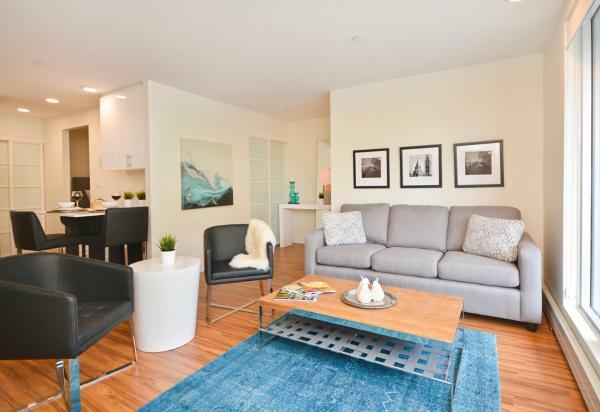 The non-smoking property is within 15 minutes' walk from Parliament Hill. This hotel is located 1.93 from the city center Ottawa. 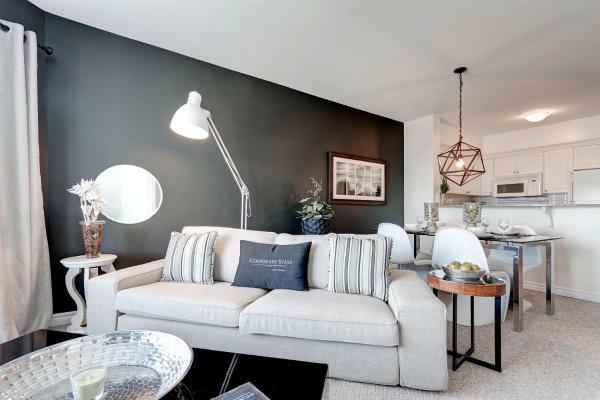 This 4.0 star property has 2 rooms. You can book a room from 139 CAD. Located in Gatineau, Aux Berges des Outaouais is situated on the shores of Rivière des Outaouais. More than 800 km of cycling trails are located along the river, as well as La Route Verte. Free WiFi and free private parking are provided. This hotel is located 5.65 from the city center Ottawa. This 4.0 star property has 5 rooms. You can book a room from 62.27 CAD.